Believe us, we know how it is. No matter how much time you put into your camping setup, there’s always something that needs attention. Say what? Yep, that’s a plastic bucket with two holes, which keeps extension cord plugs raised off of the ground and protected from the elements. Genius. No campfire? No problem. 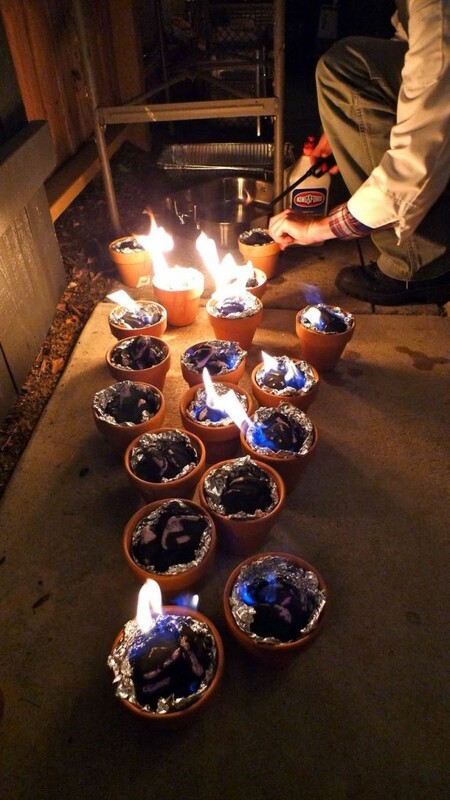 Grab a terra cotta pot, line it with foil and fill it with charcoal. Ta-da. 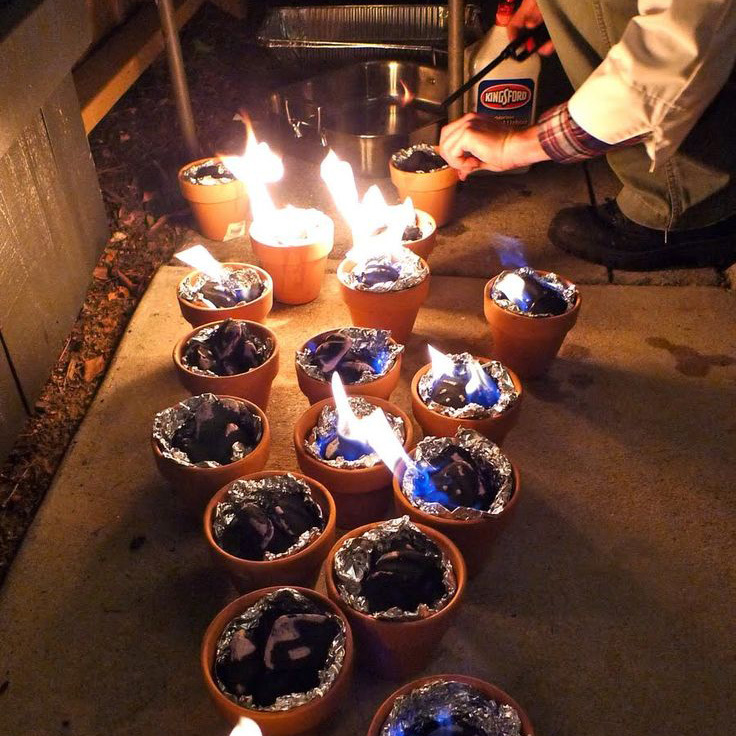 You’ve got yourself a s’mores party. 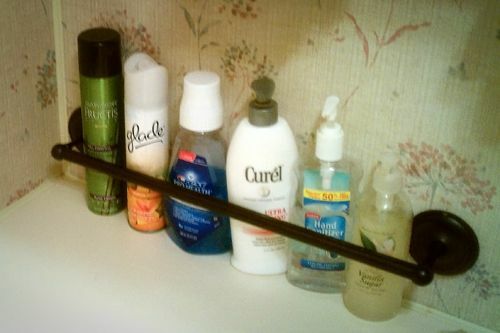 To keep items tidy and in place – especially while traveling – install a towel rod low on the wall in the tub or counter. Brilliant! 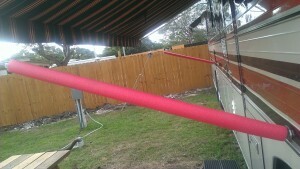 Command hooks are an RVers best friend. 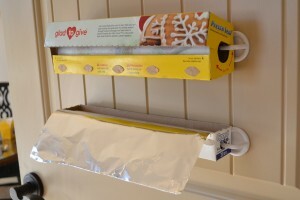 Hang kitchen supplies, organize cords in storage areas, install lightweight curtain hangers, etc. The possibilities are endless. If you haven’t had the pleasure of nearly giving yourself a concussion by smacking into the awning arms on your RV, well, it will happen eventually. Pool noodles are definitely better than wearing a helmet around your campsite. This is a good one to follow up with the pool noodle idea, right? 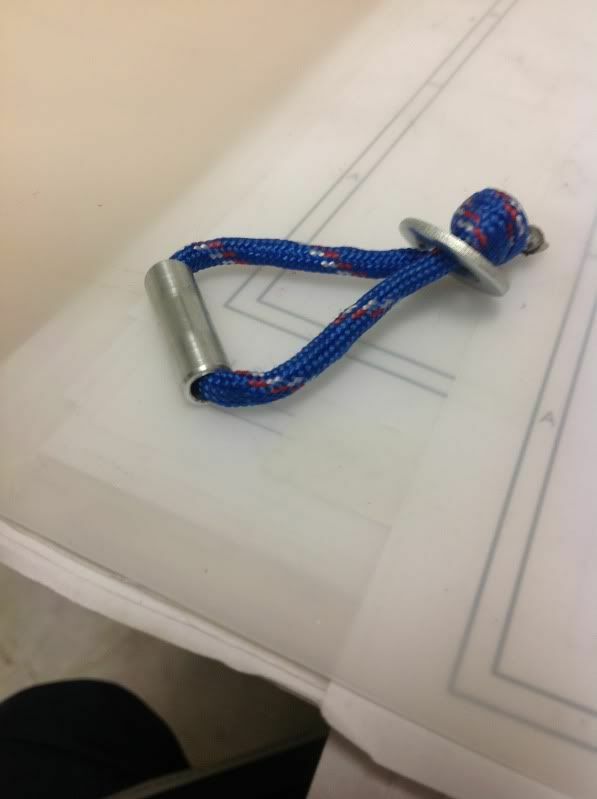 Build an awning light hanger from a piece of paracord, some 1/4″ aluminum tubing and a washer, and you are pretty well covered as far as awning tricks go. Okay, okay. 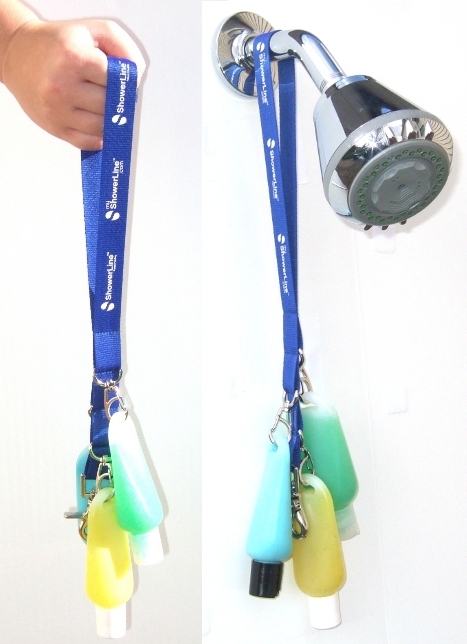 So this one isn’t a DIY, but it should be super simple to make something similar from a lanyard and some small bottles. Or you can just spend the $12 and be done with it. Bottles included. 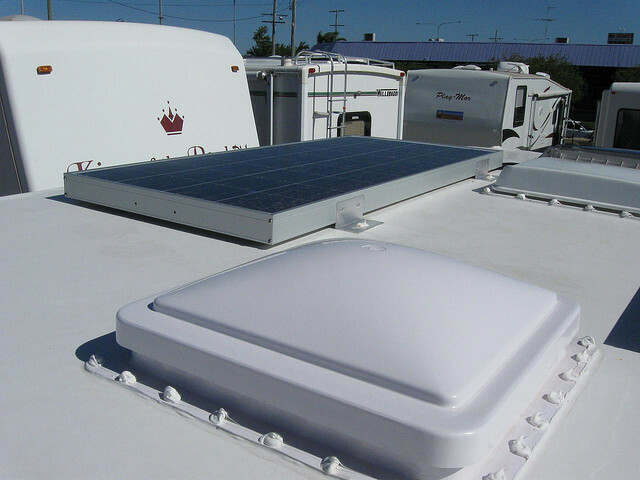 While certainly more involved than most of these projects, a solar setup will reduce your dependency on generators or electrical hookups, which opens up a tons of new options for camping. Do this. Also, see our post on money saving tips for your next adventure. Adding some extra insulating power doesn’t have to be expensive or difficult. 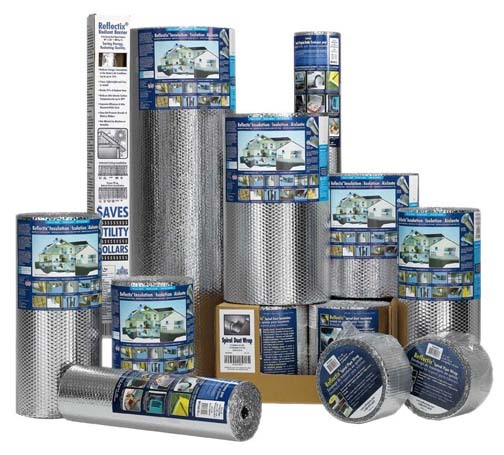 Grab a roll of Reflectix (available at most home improvement stores) and cut pieces to fit your windows and roof vents. You’ll keep your camper cooler in the summer, and warmer in the winter. 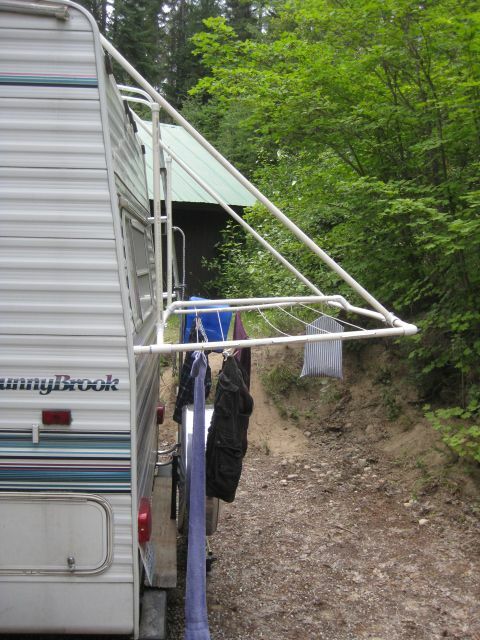 Build one of these, and you can save quite a bit of cash on clothes drying costs while RV traveling. Easy to set up, easy to stow away and it’s super light. All of these things are a win. Got a tip or trick to share? Tell us about your projects in the comments, or join us on Twitter and Facebook.